Get the latest fashion from a galaxy far, far away. 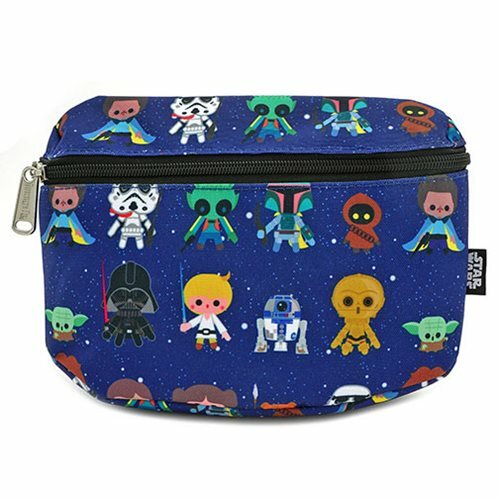 This Star Wars Chibi Print Fanny Pack is made of nylon, with printed details. It measures approximately 7 3/4-inches x 3 1/4-inches x 2-inches.